When my friend went to Japan for 3 weeks to spend time with her family, she brought back an adorable little gift for me. 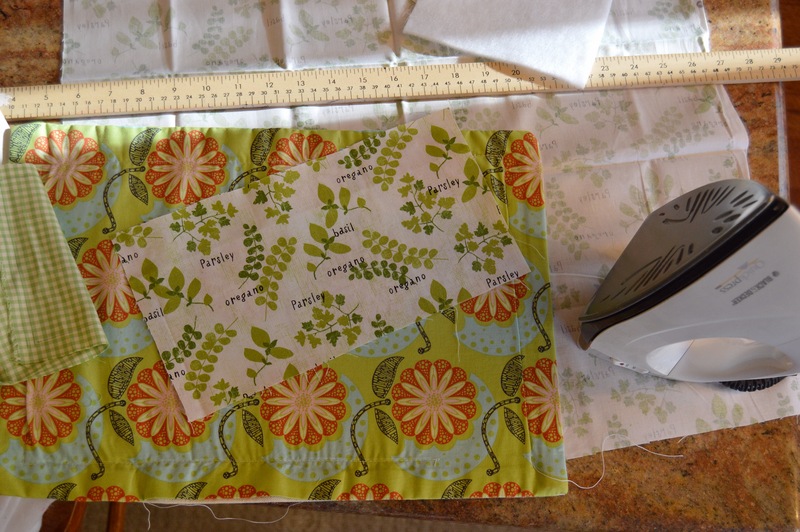 It was a small package containing fabric and instructions for making a small triangle shaped pouch. The pouch I made was very tiny (about 1 1/2 inches long on each side) and I could put only about 2 or 3 hard candies in it. 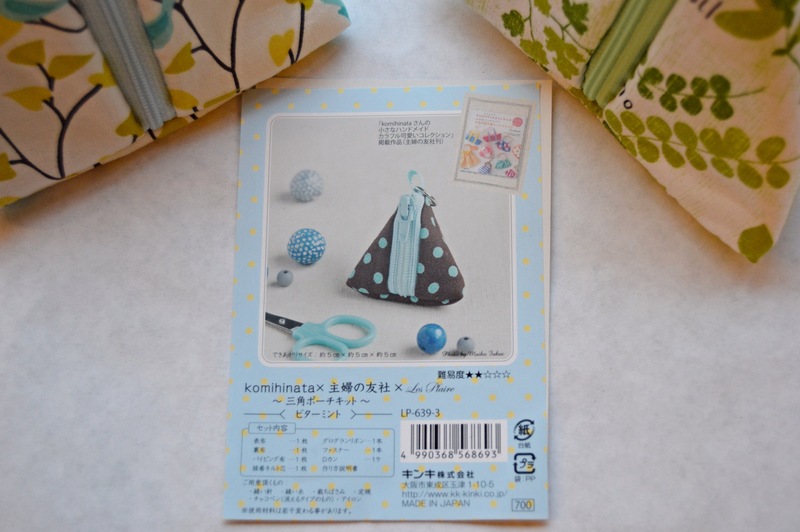 I saw similar shaped pouches in other crafting books, but I loved the way that Komihinata san matched 2 or 3 different kinds of complementing fabrics. Inspired by her designs, I made my own triangle shaped pouch; a little bigger and with different type of fabrics. 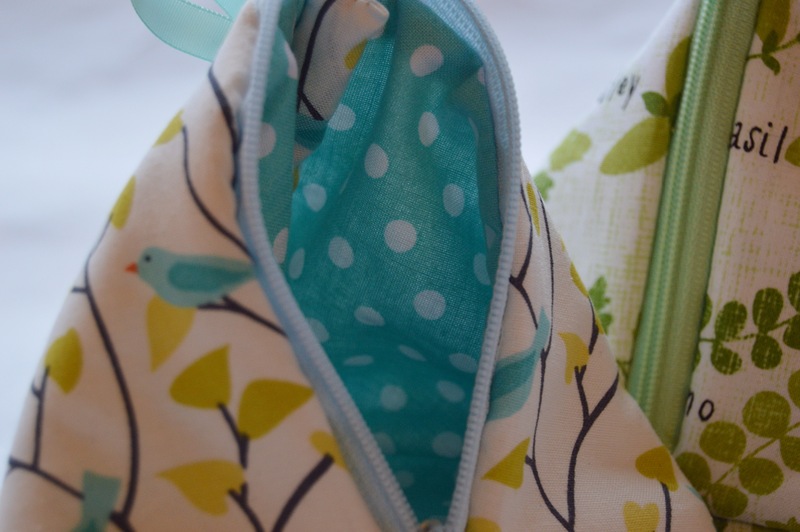 In my head, I easily envisioned the different pouches I would make, with designs like polka dots, plaids, and stripes. Instead, I fell in love this herb design and blue bird designed fabrics. Inside, I used the same green color plaid fabric as the herbs and the same blue color polka dots as the blue birds. 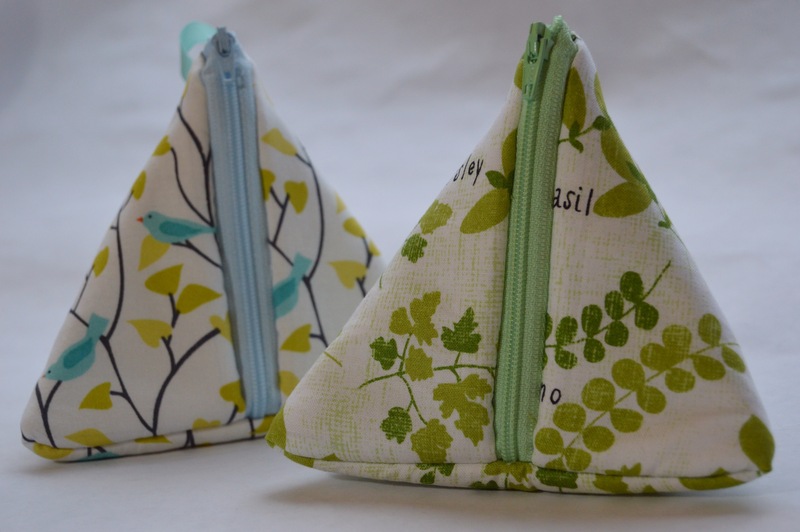 After a couple mistakes, I had successfully created my herb and blue bird design pouches! They are pretty. I wish I could learn from you. Maybe after we retire. Thank you! It is very easy to make this pouch. You can make it!